The agreement between the Ontario Ministry of Advanced Education and Skills Development and Wilfrid Laurier University to outline the university's unique role in the province's postsecondary education system. This Strategic Mandate Agreement between the Ministry of Advanced Education and Skills Development and Wilfrid Laurier University outlines the role the University currently performs in Ontario’s postsecondary education system and how it will build on its current strengths to achieve its vision and help drive system-wide objectives and government priorities. Differentiation areas of focus including metrics and targets. Informs Ministry decision-making and enables the Ministry to align its policies and processes to further support the University’s areas of strength. The term of the SMA is from April 1, 2017 to March 31, 2020. The agreement may be amended in the event of substantive policy or program changes that would significantly affect joint commitments made in the SMA (e.g. Major Capacity Expansion, Highly Skilled Workforce, etc.). Any such amendment would be mutually agreed to in writing, dated, and signed by both signatories. Ontario’s colleges and universities will drive creativity, innovation, knowledge, skills development and community engagement through teaching and learning, research, and service. Ontario’s colleges and universities will put students first by providing the best possible learning experience for all qualified learners in an affordable and financially sustainable way, ensuring high quality and globally competitive outcomes for students and Ontario’s economy. Wilfrid Laurier University will: (1) lead the province and the nation in combining the comprehensive human development of students with outstanding intellectual development in a liberal arts and sciences tradition, and (2) lead by example in innovative and highly efficient multi-community, multi-campus delivery of academic and professional undergraduate and graduate programs within a comprehensive university context. The Ministry recognizes the importance of supporting institutions to evolve and acknowledges the strategic aspirations of its postsecondary education institutions. The SMA is not intended to capture all decisions and issues in the postsecondary education system, as many will be addressed through the Ministry’s policies and standard processes. The Ministry will not be approving any requests for capital funding or new program approvals, for example, through the SMA process. Laurier will be pre-eminent in achieving the combined intellectual, personal, cultural and professional development of students. Laurier’s academic and research endeavours, including those undertaken through partnerships, will be distinguished by generating complementary outcomes of learning enrichment, knowledge creation and dissemination, community development and engagement and benefits to the economy and society. Laurier will be a leader in innovating high-impact and efficient multi-community and multi-partner delivery of relevant and responsive education, research and outreach. These goals encompass the priority objectives that have been Laurier’s focus over the past decade. We have enhanced learning outcomes (including through experiential learning) and teaching excellence, grown graduate programming, increased research activity and impact and grown as a multi-campus, multi-community university. Our presence in multiple communities enables Laurier to effectively extend and enhance our impact on students, communities, and economies. 1 While requests for capital project funding are outside the scope of the SMA process, the ministry acknowledges Wilfrid Laurier University’s aspiration with respect to the major capacity expansion bid process for Brampton and Milton. This section captures institutional strengths in improving student experience, outcomes and success. This section recognizes institutions for measuring the broader learning environment, such as continuity of learning pathways; retention; student satisfaction; co-curricular activities and records; career preparedness; and student services and supports. The Laurier student experience is designed to help students grow in all aspects of their lives, in addition to earning their degrees. The student experience is centred intentionally on developing the whole student — intellectually, personally, culturally, and professionally. The uniqueness of the Laurier student is captured by a 2015 LinkedIn analysis, which found that Laurier has the highest proportion of students and alumni with volunteer experience compared to all other universities worldwide. The 2017 Maclean’s rankings of Canadian universities rated Laurier first in its category for student satisfaction. Laurier students are encouraged to learn in curricular, co-curricular, and extra-curricular contexts. The newly developed Laurier Experience Guides capture the breadth of this learning at the program level. For each undergraduate program major, Laurier has prepared an Experience Guide that articulates the key competencies achieved by program graduates, maps potential career options based on graduate survey data and illustrates how students can connect their program elements with synergistic co-curricular and extra-curricular opportunities. The Experience Guides are being integrated into learning plans and promoted to students through an enhanced approach to student advising. Arising from a 2015-16 review of academic advising, the advisors are connected and empowered to direct students to opportunities and supports, both inside and outside the classroom. Laurier’s recently expanded Teaching and Learning portfolio integrates experiential learning and career development. This contemporary approach will advance all forms of experiential learning, supported by Outcome, the student experiential record, which is a learning outcomes management platform to catalogue, track and recognize all forms of experiential learning at Laurier. Intentional in its design, this approach will help students understand and articulate the scope and breadth of the skills and competencies developed through these experiences. Graduate student career preparedness is supported by Laurier’s ASPIRE program. ASPIRE is a professional skills development training program for graduate students and postdoctoral fellows that helps set them on the path to post-degree success. The program provides a range of training and development opportunities and resources in five categories: career development, communications, teaching and research, leadership and personal wellness. In 2014, the program received the Canadian Association for Graduate Studies Award for Excellence and Innovation in Enhancing the Graduate Student Experience. Laurier’s focus on student experience has also guided its development as a multi-campus, multi-community university. Growth across multiple locations has enabled Laurier to maintain highly interactive and personalized campus environments, with the student experience and academic offerings differentiated by location. Laurier has successfully seeded its culture in Brantford and Kitchener and is preparing the foundation for a Laurier site in Milton. The richness of the student experience is underpinned by Laurier’s highly developed system of student services, programming, and supports. Laurier is strongly committed to the provincial postsecondary access agenda. As Laurier has developed to support an increasingly diverse community of learners, it has identified new levels of need and particular barriers that require institutional support. Mutually beneficial partnerships with its undergraduate and graduate student associations have been essential to Laurier’s approach, providing student co-funding and shared accountability for wellness, career development and learning support services. Both the university and the student associations embrace innovative approaches, which led Laurier to develop, for example, a circle of care model to integrate clinical and mental health support services, personal counselling, education and awareness programming that engages peer-to-peer student involvement. Laurier was a pioneering institution in Canada, as the first to introduce a co-curricular record2; Laurier is now building a more advanced programming approach, which it is calling ExpLaur. The new program, in development for piloting in the winter of 2018, will enable students to make concrete connections between co-curricular learning and the development of key competencies. Students will earn academic credit in ExpLaur for completing a sequence of courses in which they articulate their co-curricular learning and capture the results in an e-portfolio that will be available post-graduation. Laurier’s Career Development Centre has been recognized as the most impressive model of career services delivery in the 2017 Canadian Education and Research Institute for Counselling’s project, Insight into Canadian Post-Secondary Career Service Models, undertaken by PSE Information Systems. In 2015-16, the Career Development Centre reached 84 per cent of the undergraduate student body through a variety of programs. Other noteworthy statistics include: holding 7,000 individual appointments with students and alumni, mounting over 600 workshops and career-related events, co-hosting the career and job fairs with the largest number of employers the country and partnering with approximately 1,700 employers to assist in their recruiting efforts. In 2014, the Student Wellness Centre on the Waterloo campus integrated health, counselling and other wellness services into a single centre to enhance support for students’ physical, emotional and mental health. The circle of care model connects students to a multidisciplinary team of wellness professionals, offering comprehensive wellness support to students in a seamless and coordinated fashion. Counselling appointments have increased by 10 per cent annually, without additional resourcing. The model also supports education programs that train staff, faculty and student leaders to respond to students facing mental or physical health issues. The Mental Health First Aid program (366 trained), SafeTALK (596 trained) and the recently introduced Applied Suicide Intervention Skills Training (31 trained) equip trainees to: better recognize the signs and symptoms of mental illness, or persons with thoughts of suicide; offer support; and connect them with appropriate wellness resources. Cultural development of students is supported through the many concerts and activities of the Faculty of Music, author events such as the Edna Staebler Writer-in-Residence, student club activities and the Robert Langen Art Gallery, recently relocated to the Laurier Library as part of the Library Learning and Culture Commons. In 2016-17, the Commons hosted 40 individual cultural events, exhibits and arts/culture workshops, which featured more than 150 artists and performers and attracted approximately 1,000 audience members. The diverse cultures represented in Laurier’s student body are celebrated and supported in meaningful and personal ways, including an effective and highly visible Diversity and Equity Office, international student centres, full-time Indigenous elders, and Indigenous student centres on each campus and an Indigenous field of study for Social Work students who complete an MSW fully within Indigenous ways of knowing and learning. This section focuses on innovative efforts including pedagogical approaches, program delivery and student services that contribute to a highly skilled workforce and ensure positive student outcomes. This section captures institutional strengths in delivering high-quality learning experiences, such as experiential, entrepreneurial, personalized and digital learning, to prepare students for rewarding careers. It includes recognition of student competencies that improve employability. It begins to identify indicators of quality that are currently available and within an institution’s control. Laurier’s approach to teaching and learning is a natural extension of its comprehensive human development approach to the student experience. Excellence in teaching and learning shapes Laurier students into highly skilled, highly employable, community-engaged graduates. This is achieved through: combining curricular experiences with applied experiential opportunities; intentionally making connections across curricular, co-curricular, and extra-curricular activities; utilizing a range of effective pedagogies; and providing a supportive learning environment focused on student success. Experiential learning includes co-operative education, field placements, practica, internships, laboratory experience, entrepreneurial activities, community-engaged learning, research and teaching apprenticeships, curricular international experiences (including study abroad and international field placements) and co-curricular learning. Two imperatives guide Laurier’s current work: to forge more explicit connections between program learning outcomes and experiential learning; and to emphasize the link between program learning outcomes and the essential skills that students require for future success. The 2015-2020 Strategic Academic Plan addresses these challenges explicitly by identifying experiential learning as one of three pillars of the plan and including strategies aimed at: establishing a framework to identify, define, measure and report on experiential learning; ensuring that every student has opportunities to engage in experiential learning; deepening the curricular integration of experiential learning; and expanding accredited co-operative education programs, especially in the arts and sciences. Operationally, Laurier has aligned to support these strategies by creating a Centre for Experiential Learning and Career Development reporting to the Associate Vice-President: Teaching and Learning (AVP: T and L). This new centre brings co-operative education and the career development centre into the portfolio of the AVP: T and L and integrates them with community service-learning, co-curricular learning initiatives and other community-engaged learning. The realignment connects experiential learning directly with career development work and the synergies generated will support employability through more integrated approaches to co-curricular learning and students’ development and articulation of core competencies. Laurier has developed a large suite of opportunities for students to integrate entrepreneurship, social entrepreneurship and social innovation into the curriculum and co-curriculum. On the programming side, academic credentials such as Canada’s first undergraduate option in social entrepreneurship and an interdisciplinary entrepreneurship core enable students in any discipline to learn and apply entrepreneurial methods. To complement programs and support co-curricular engagement, Laurier has created a network of spaces for collaboration, ideation, experimentation and prototyping. With the support of the Wilfrid Laurier University Alumni Association, social innovation labs have been created at the Brantford and Waterloo campuses. In addition to these spaces, Laurier has existing launchpad business incubator programs in Kitchener-Waterloo (based at the Communitech Hub) and in Brantford. Laurier has created a donor-supported science launchpad in Waterloo and a makerspace, where students can design, create and test prototypes. Together these spaces and support from organizations like Communitech, the Accelerator Centre and others, are a valuable resource to students pursuing innovative projects and business enterprises. Laurier’s leadership in social entrepreneurship and social innovation programming is recognized externally. In 2016, Laurier was recognized as the second Canadian university to be designated a Changemaker Campus by Ashoka U. The Changemaker Campus status connects Laurier to a global network of 40 universities that are leaders in social innovation and change making. Laurier’s work in social innovation and social entrepreneurship is also funded by the RECODE project of the J.W. McConnell Family Foundation, which has recognized Laurier as a Lighthouse Institution for social innovation in Canada. The mandate of Laurier’s Schlegel Centre for Entrepreneurship and Social Innovation was recently expanded to support the entire continuum of activity from entrepreneurship through to social innovation (for more detail, see Section 5.0). As part of Laurier’s supportive learning environment, student success programs deploy leading-edge strategies to support students. For example, the Supplemental Instruction program supports student success in challenging first- and second-year courses by integrating academic skills instruction and application into course content and assignments through peer-led collaborative sessions. In the fall of 2016, students participating in supplemental instruction programs achieved course grades that were on average 2.2 grade points higher than non-participants’ grades. Student support will be enhanced by a recent reorganization that will combine the Centre for Student Success and the Centre for Teaching Innovation and Excellence into a new Centre for Teaching and Learning. The new centre will collaborate with academic programs to combine pedagogical, curricular, remedial, and more broadly developmental approaches to student success. Work-integrated learning opportunities include: co-operative education programs (2,293 students enrolled, including the largest undergraduate business co-op program in Canada, with 1,388 students employed by 669 companies in 2016-17); Bachelor of Education students who undertake 195 days (1,365 hours) of field experience in various learning environments over the two-year program; practica in the Bachelor and Master of Social Work programs which take place in multiple community settings (including international placements); music therapy placements for the graduate and undergraduate programs; community placements in the Master of Arts (MA) Community Psychology; community-based placements in the MA Social Justice and Community Engagement; a new internship available as part of the MA English; community service-learning placements integrated into undergraduate courses (1,107 course registrations in 2016-17); CityStudio programs in Brantford and Waterloo, which enable students to collaborate with city staff to address real problems; and the donor-supported Capstone Urban Studies course in Geography, which engages students with the City of Cambridge. The Bachelor of Business Administration (BBA) curriculum emphasizes immersive learning. This begins in first year, with the BDO New Venture Competition, where student teams compete to develop and pitch a business concept. In the third-year Integrated Case Exercise (ICE), students compete to respond to a real-world challenge identified by a company and to pitch their solutions directly to company executives. ICE provides students with the opportunity to integrate management disciplines into a real-time problem-solving context while experiencing work-world pressures, developing presentation skills and interacting with business executives. The Brantford Gaming Network Lab (BGNlab) is a game lab that aims to create transformative games and play that can change the world. Students in the Game Design and Development program learn how to craft games that create player experiences and develop a fundamental understanding of how to motivate people to be engaged. The BGNlab provides the opportunity to apply those concepts and collaborate with community organizations and local game enthusiasts to develop made-in-Brantford solutions to improve lives through games and play. Active Learning Classrooms (ALCs) and flexible learning spaces are dynamic and flexible classroom spaces designed to facilitate interactive and collaborative teaching and learning. ALCs leverage cutting-edge educational technologies and feature movable furnishings and projector-equipped tables where students collaborate to research, create and share their work. What began as one pilot classroom in 2012 has expanded to a university-wide initiative with six technologized ALCs and another five flexible learning spaces. New online programs, such as the Bachelor of Arts in Policing and the Master of Public Safety, reach working professionals in ways that accommodate their commitments and time constraints. The Master of Public Safety received over $800,000 in funding from eCampusOntario to develop program courses. Online versions of other existing graduate programs are also under development. This section recognizes institutions for their efforts in improving postsecondary education equity and access. Institutions play an important role in providing equitable and inclusive environments that make it possible for students from diverse communities to thrive and succeed. Institutions will also be recognized for creating equitable access opportunities that can include multiple entrance pathways and flexible policies and programming, with the focus on students who, without interventions and support, would not otherwise participate in postsecondary education. Examples include outreach to marginalized youth, transition, bridging and access programs for adults with atypical education histories and who do not meet admission requirements. Over the past decade, Laurier has been one of the fastest-growing universities in the province, having grown full-time equivalent enrolments by 40 per cent during the ten-year period from 2005-06 to 2015-16. This growth has been built on dramatic undergraduate student growth and steady increases in graduate enrolment. Laurier’s long-term vision is a university of three locations in Waterloo, Brantford, and Milton, each with a sustainable student population enrolled in a differentiated set of academic programs. This model enables a full range of complementary programs to be offered efficiently, to effectively meet access needs and to maintain a campus scale that facilitates high student and community engagement. Access has been achieved without compromising student satisfaction or retention as Laurier has scaled its outstanding level of support for student success. For example, the Accessible Learning Centre supported over 1,500 students with disabilities in 2015-16, a nine per cent increase over the previous year. Although Laurier’s reputation has been built in large part at the undergraduate level via the traditional Ontario high school market, its mission and values embrace diversity and a culture of inclusivity that encompasses all qualified students regardless of gender, race, ethnicity, culture, sexuality, religion, age, ability or socio-economic background. The initiatives section lists the many programs targeted at groups that have traditionally been under-represented in higher education. Individually, many of these programs serve relatively small numbers, but each makes a significant impact on those it serves; together, they are a testament to Laurier’s commitment to access and inclusivity. In the Strategic Academic Plan, Laurier identifies diversity as a pillar that supports strategies to recruit, enrol and graduate increased numbers of non-traditional learners through both the creation of pathways as well as the elimination of barriers for such students. The Strategic Academic Plan places particular emphasis on Indigenous learners, the single most under-represented group in Canadian higher education and, as a result, from 2015 to 2020 Laurier is prioritizing capacity building through an Indigenous hiring strategy. The goal is to recruit sufficient Indigenous faculty and staff to enable expansion of Indigenous programming under their leadership in collaboration with Indigenous students. Laurier recognizes the unique needs of Indigenous students and has established specialized academic support programs to facilitate success. The SEEDS program is a scholarship-incentive program that provides financial aid to undergraduate students who maintain a minimum course load and grade point average (GPA) and who complete four program activity requirements to support their learning, engagement, and cultural awareness. At the graduate level, pathways and mentoring programs have been developed to encourage Indigenous students to pursue graduate studies and to provide peer support. Laurier’s goal is to build a diverse 21st-century university by attracting and educating a larger proportion of non-traditional students. Laurier celebrates how diversity strengthens the university as a whole and recognizes the role such diversity plays as it prepares its students to become engaged and aware citizens of an increasingly complex world and successful participants in an evolving labour market. Jumpstart to Higher Education: an access program to introduce senior public students from socioeconomically disadvantaged areas to postsecondary education pathways and career planning. Walls to Bridges: an innovative education program that brings together incarcerated and non-incarcerated students to study university-level courses in jails and prisons across Canada. Access to University’s partnership with Kitchener’s The Working Centre (an independent and inclusive social service agency focused on community development) assists non-traditional learners — new Canadians, Indigenous people, those dealing with disabilities, older unemployed workers — who face barriers to pursuing higher education. A pilot version ran during 2015-16 and the first full cohort is enrolled in the winter of 2017.
International Students Overcoming War: a student-led initiative funded by a student levy that partners with international organizations to sponsor students from the Middle East whose education has been disrupted by violent conflict. Beating the Odds: hosted by the Association of Black Students, the conference addresses the increasing drop-out rates of Black and other racialized high school students by inviting 100 high school students to campus for a full day of programming to create an atmosphere of empowerment and motivation and to encourage students to consider university study. Support to faculty (e.g., curriculum development, pedagogical support, guest lectures) when equity issues arise in the classroom. Hosting the E(Race)R Summit in March 2016, to explore ways to hear, engage with and address racialized students’ concerns; the summit resulted in five calls to action, focusing on a sector-wide approach to address systemic issues. Training all search committees for senior administrative positions on equity and unconscious bias. Collaborating with students and faculty to draft a survivor-centred policy on sexual and gendered violence. Admission of an Indigenous cohort to the PhD program in Social Work in 2018. This section captures institutional strengths in producing high-quality research on the continuum of fundamental and applied research through activity that further raises Ontario’s profile as a globally recognized research and innovation hub. It also acknowledges that research capacity is strongly linked with graduate education. With an increase of more than 35 per cent in competitive external funding over the last five years and success rates that exceed national averages for the majority of tri-council programs, Laurier has emphasized both institutional and individual faculty research excellence. This has included an emphasis on meaningful and effective research outcomes that are user-focused, with the student experience (both undergraduate and graduate) at the foundation of all of these efforts. Environment: Across Laurier, an emphasis has been placed on researching the interaction of environmental factors and human populations and conditions, the management of the environment and other policy issues related to our environmental resources. Efforts have specifically focused on climate change, resilience and sustainability, cold regions and water research for both Canadian and global water issues, including the sustainability of healthy aquatic and coastal ecosystems and the development of water-use regulations and policies. Governance and Policy: Societal public policy challenges remain problematic and include a range of issues relating to international, political, economic, and developmental relations. Laurier seeks to understand these challenges and increase our collective capacity to deal with them in such areas as global migration; food security; human rights, justice and equality; and social activism, social welfare and community development. Health and Well-Being: The complexity of Canadian health needs continues to grow. Laurier is providing leadership in a range of public health issues, including mental health; health policy development; health promotion; social support systems for public health; the geography of health; and the social determinants of health. Culture and Society: The challenge of understanding the human experience has cultural, scientific, artistic and humanistic dimensions, requiring a range of integrated skills and approaches. Through its role as a leading comprehensive institution, Laurier has placed a significant priority on providing research leadership on a range of cultural and societal issues. This primarily includes effective contributions through scholarly and creative outputs in music, film, social media and literature. Economics, Markets and Management: Across the institution, including the Lazaridis School of Business and Economics, Laurier is providing research leadership in macroeconomics; business infrastructure; corporate and fiscal policy; financial markets and performance; organizational behaviour; marketing; and accountability in the public and not-for-profit sectors. This includes a strategic focus on supply chain management, finance and accounting, as well as mathematical modelling in financial risk management. Community engagement is at the core of Laurier’s institutional research mission. Accordingly, Laurier fosters effective collaborations both within and outside of the university, resulting in strong linkages with a number of partnering stakeholder communities, including business and industry, not-for-profit and arts organizations, Indigenous peoples, and the public sector. Laurier has actively sought to build excellence in areas of strategic differentiation that are focused on community engagement. In the coming years, Laurier will build on these achievements by: further enhancing research investments in such areas as cold regions water science and management; mitigating the effects and improving our resilience to global environmental change; creating and supporting innovative business solutions and opportunities (with specific emphasis on technology-based firms) that will build on Canada’s innovation capacity; and strengthening the health and sustainability of communities and people both locally and throughout the world. Government of the Northwest Territories (GNWT)-Laurier Partnership: Laurier’s longstanding partnership with the GNWT continues to expand the Territories’ capacity in research, monitoring, policy development and training. The work of the Partnership will lead to an improved understanding of the impact of a changing climate on the environment and tools to mitigate the risks, which will not only benefit the NWT, but all Canadians. With over $30 million in research funding secured since its inception in 2010, support for the Partnership has been further enhanced by Laurier’s participation in the Global Water Futures (GWF) project, a recently awarded $78 million Canada First Research Excellence Fund program. With 140 global partners, the GWF will spearhead innovative research on forecasting and mitigating water-related threats to better position communities to manage and prepare for water futures in the face of dramatically increasing risks.  To support its northern research, Laurier has allocated a number of Canada Research Chairs, made significant Canada Foundation for Innovation investments in equipment and facilities and supports a number of research centres including the Cold Regions Research Centre and the Laurier Institute for Water Science. The Lazaridis Institute for the Management of Technology Enterprises (LI): Located in the Lazaridis School of Business and Economics, LI works directly with emerging technology firms, empowering them to scale rapidly into globally competitive enterprises. LI drives ambitious and insightful research on innovation, management, and disruption in existing and emergent technology enterprises, with a particular emphasis on scale-up organizations. To support LI, Laurier has attracted a $20 million gift from a private donor and over $20 million from provincial and federal investments, as well as recruiting Canada Research Chairs and other strategic appointments. Sustainable and Resilient Communities: Much of Laurier’s research is dedicated to supporting the development of environmentally and economically resilient communities where the health and well-being of citizens and our environment are effectively managed. Laurier offers significant institutional research strengths in climate change, sustainability, community well-being and food security. Laurier faculty lead research programs that: examine resilience in urban, rural and Indigenous communities; investigate the impact of climate and environmental change on infrastructure systems that affect human health and safety, and; identify innovative solutions which enhance the sustainability of community-based food systems throughout the world. Laurier has made investments in a number of complementary research centres including the Laurier Centre for Sustainable Food Systems, the International Migration Research Centre (IMRC), the Viessmann Research Centre and the P&G Centre for Business and Sustainability. Additionally the Centre for Community Research Learning and Action (CCRLA) plays a unique leadership role as an interdisciplinary research centre focused on developing community-university partnerships and producing research, learning and action that advances community well-being and social justice. The CCRLA addresses research and evaluation needs of community partners while providing rich community service-learning opportunities for students and other highly qualified personnel. The CCRLA works to sustain long-term community partnerships for action research, which ultimately fosters and facilitates effective knowledge translation and mobilization of such projects. To support research training in this area of differentiation, Laurier’s Brantford campus offers a unique MA in Social Justice and Community Engagement, where students undertake research and develop skills that facilitate community capacity development, local-level innovation sustainability and resilience. An Emphasis Toward Health and Well-Being: A critical need exists for multi-disciplinary research to develop and improve policies, procedures, and practices that support health and well-being. A strategic focus of Laurier has involved supporting public health issues including mental health, health promotion, and the social determinants of health through recent institutional investments. Of particular importance is health-related research examining the physical impacts on autistic, geriatric, pediatric, and clinical populations, as well as health policy and demographic initiatives. Current public health policy challenges related to physical activity including obesity, chronic diseases and mental health require interdisciplinary research, spanning the natural, social, and health sciences for which Laurier is positioned to provide considerable leadership. As an example, the recently established Sun Life Financial Centre for Physical Active Communities is addressing the long-term health and well-being of children through research aimed at youth and their caregivers. A Commitment to Undergraduate Student Engaged Research: Laurier is building on its reputation for providing an outstanding student experience while simultaneously enhancing its research growth as a comprehensive university. A strategic goal is to become a national leader in undergraduate student research engagement. This commitment will allow the Laurier undergraduate student experience to include a range of research experiential opportunities involving the discovery of new knowledge while developing essential skills that will benefit them in their lives and support Ontario’s commitment to the development of a highly skilled workforce. To achieve this goal, Laurier is providing an enhanced series of new opportunities for undergraduate students to engage in research through creating high-impact, experiential practices. This will include greater access to research experiences throughout each year of all undergraduate programs and establishing various Research Apprenticeship programs across each of Laurier’s faculties, where students work with faculty as apprentices rather than as assistants, gain academic credit, and play an active role in knowledge mobilization of their research outcomes. This section recognizes the unique role institutions play in contributing to their communities and to economic development, as well as to building dynamic partnerships with business, industry, community members and other colleges and universities. It focuses on regional clusters, customized training, entrepreneurial activities, jobs, community revitalization efforts, international collaborations, students, partnerships with Aboriginal Institutes and a program mix that meets needs locally, regionally and beyond. As a community-facing university, Laurier is engaged in a deeply symbiotic and mutually enriching relationship with multiple communities: Kitchener and Waterloo, Brantford, Toronto, and Milton. Laurier understands the power of higher education to transform communities and to spur innovation and labour market diversification. Equally, Laurier’s own mission is shaped through engagement with its communities and students are presented with valuable opportunities to apply, test, and revise knowledge through engagement with the world outside the university. Laurier is a committed and engaged partner in economic development organizations in Waterloo Region, Brantford, and Milton. Laurier holds memberships and active directorships on key economic development bodies where it actively promotes advancement of community and regional economic strategies. Laurier’s Bachelor of Business Administration (BBA) and Master of Business Administration (MBA) programs have played a critical role in the growth of Waterloo Region as an anchor within the Toronto – Waterloo Innovation Corridor. Lazaridis School of Business and Economics graduates have started over 1,800 companies and are senior leaders in technology companies (40 as president or CEO and 120 in senior executive positions). Part-time professional graduate programs in several fields (e.g., Master of Social Work, MBA, Master of Education, Master of Arts in Community Music, as well as counselling and pastoral education offered by the Waterloo Lutheran Seminary) promote innovation and economic growth by: enabling professionals to upgrade qualifications while remaining in the workforce, and; building profitable interchange between classroom learning and the specific challenges and imperatives of the work environment. Laurier’s presence has transformed Brantford, sparking social, cultural and economic revitalization. An annual economic impact of approximately $59 million is attributed to postsecondary education in Brantford and Brant County.3 The impact has been greatest in the downtown core, where Laurier occupies new and restored heritage buildings; the influx of population in the downtown has driven significant increases in overall activity. The Laurier-Conestoga partnership is driving further economic gains by increasing enrolment and supporting campus expansion. Current university degree attainment for greater Brantford is at half the provincial average4; Laurier supports continued growth in educational attainment to drive social and economic development and diversification. Laurier continues to extend its national reach through ambitious new programs such as the Lazaridis Institute Canadian Scale-Up Program, which aims to build the next generation of billion-dollar Canadian technology firms. The Lazaridis Institute’s Executive Masters in Technology Management program addresses a gap in executive management education in Canada — the development of leaders specific to innovative enterprises. The cohort-based, alternating weekend program develops senior leaders into the next generation of CEOs, CIOs and CFOs. 3 Executive Summary: Brantford Postsecondary Institutions — Economic Impact by Adventus Research. 4 The 2016 Census results addressing educational attainment have not yet been released. These numbers are based on the Statistics Canada 2011 National Household Survey. Brantford CMA degree attainment = 14.5%. Ontario average = 29%. Laurier fosters a vibrant culture of innovation and collaboration that enables faculty and students to work with and affect their communities through research and academic programming focused on improving social and economic policy. Economic development, innovation and governance are the focus of several research centres and schools at Laurier, including the Lazaridis School of Business and Economics and the Balsillie School of International Affairs (BSIA). Key BSIA target areas include innovative solutions to climate change, social and economic factors for migration, water security, Indigenous rights, and cultures of sustainability at all levels of government. The Lazaridis Institute Canadian Scale-Up Program supports companies to scale globally. It is led by global experts, each of whom has taken a select company — or several companies — from start-up to significant scale. The Scale-Up Program creates a yearly cohort of the very best young Canadian tech companies and gives them the opportunity to work closely with business leaders and benefit from these leaders’ expert knowledge, mentorship and networks. Over the six-month program, the cohort works on critical issues ranging from talent management and key company metrics to sales, finance, and funding for companies that have the potential to scale exponentially. Sun Life Financial Centre for Physically Active Communities engages Laurier’s undergraduate and graduate students in delivering physical activity programming and conducting research. The Centre offers physical activity and fundamental motor-skill programming to typically developing and developmentally delayed children. During 2016-17, programs reached 125 children and the Centre is launching new programs in the spring of 2017 that will significantly increase the impact. Support from Sun Life Financial is enabling the Centre to offer low-cost or free programming to at-risk children and youth. The award-winning LaunchPad program – a start-up incubator that has helped to launch 75 companies over the past two years. The municipally funded Neighbourhood Changemakers program has trained 31 Brantford community leaders in social innovation so that they can build stronger, more resilient communities. The Start@SIVC program, which supports women and youth in entrepreneurship through delivery of the Ontario Social Innovation Vouchers ($75,000 in 2017-2018), funded by the Ontario Centres of Excellence. Social Innovation Research Group (SIRG) in the Faculty of Social Work: an educational and research arena in which faculty, students and community partners engage in community-based research projects designed to assist community partners and individuals in building networks to enhance their own community capacity building strategies. SIRG connects academic and community stakeholders who believe that universities should be of service to the communities in which they operate, and value mutuality in working partnerships, social innovation and social justice. This section establishes the agreed-upon corridor midpoint that will form the basis of enrolment-related funding over the course of the SMA period. For funding purposes, 32,966.73 Weighted Grant Units (WGU) will be the corridor midpoint value for Wilfrid Laurier University. This value was determined using the institution’s actual enrolment (expressed as WGUs) from the 2016-17 academic year. The Wilfrid Laurier University will receive funding consistent with this level of enrolment and subject to the policies contained within the Ontario University Funding Model Technical Manual, May 2017, Version 1.0. Note: For this table, Full-Time Headcount should be reported for fall term only. Note: Allocation shown in FTEs. Note: International enrolments include all funding ineligible international students. Consistent with Laurier’s mission to challenge students to become engaged and aware citizens of an increasingly complex world, the 2015-2020 Strategic Academic Plan commits to continued internationalization and diversification of the student body at both the undergraduate and graduate levels. The international enrolment strategy is part of a broader internationalization strategy built on five core components: recruitment; student support services; student mobility; International @ home; and partnerships. Laurier’s Strategic Enrolment Management (SEM) Steering Committee oversees the development and execution of long-term enrolment plans and, in so doing, establishes enrolment priorities and goals to enable Laurier to achieve and maintain optimum undergraduate and graduate recruitment, retention and graduation rates of its international students. The identification and mitigation of risks — whether the result of overdependence on one particular market, competitive activity or other external factors — is monitored and managed by the SEM Steering Committee. Student mobility is facilitated through formalized academic exchange programs, field courses, internships and the alternative reading week. Since 2013, student participation in studying abroad through academic exchange at the undergraduate level has increased 54 per cent. Laurier has recently approved a Graduate Diploma in the Masters of Social Work Program that will offer an international field placement and interculturally focused courses in social work research and practice. This will enable graduate students to gain skills in working in international settings abroad and also facilitate expertise in working with various international communities in Canada. International @ home includes a range of programming initiatives that are designed to offer global learning opportunities for students, staff and faculty without travelling abroad. The six-module Intercultural Certificate program and the Global Kitchen project are examples that enhance intercultural competences of the institution so Laurier staff and faculty are able to engage and assist international students in a culturally appropriate and effective manner and make Laurier truly “a home away from home” for international students. Partnerships provide the foundation upon which many of Laurier’s international initiatives are able to occur. Laurier shares exchange agreements with over 70 partner institutions in over 25 countries for the purpose of two-way student mobility. One of Laurier’s most recent partnerships is the agreement with the University of Sussex, which enables students to complete a BA at Laurier and an LLB from Sussex. With significant changes to global demographic patterns, economic growth and decline, government policies, and student demand, it is imperative that Laurier is highly responsive and proactive in its institutional strategy, processes, and policies. The international strategy outlined here provides a strong foundation and positions Laurier to deepen its impact as a global institution. The proposed areas of program strength are intended to inform program approval processes. It is the responsibility of the governing board and senior administrators of the University to identify, track, and address financial pressures and sustainability issues. At the same time, the Ministry has a financial stewardship role. The Ministry and the University agree to work collaboratively to achieve the common goal of financial sustainability and to ensure that Ontarians have access to a full range of affordable, high-quality postsecondary education options, now and in the future. The University remains accountable to the Ministry with respect to effective and efficient use of provincial government resources and student resources covered by policy directives of the Ministry, or decisions impacting upon these, to maximize the value and impact of investments made in the postsecondary education system. Laurier and the University of Waterloo (UW) deliver joint programs and double-degree programs, including the Bachelor of Business Administration (BBA)/Bachelor of Math, the BBA/Bachelor of Computer Science, the Honours BA in Spanish, and graduate programs in Geography, History, and Religious Studies. The two universities also operate a cross-registration agreement to facilitate easy movement of students between the two institutions; in fiscal 2016-17, Laurier taught 3,060 course registrations to UW students and UW taught 2,005 course registrations to Laurier students. Laurier has a deep and evolving partnership with Conestoga College: joint programs are offered at the Brantford campus; pathways agreements connect Conestoga students to Laurier programs at the Brantford and Waterloo campuses, and; Conestoga will be the college partner at the proposed Milton site, leading to opportunities for further innovations in programs and pathways. Laurier is a member of the six-institution consortium that has an articulation agreement with Six Nations Polytechnic Institute. The agreement draws on college and university courses from the partner institutions to create access to a transferable first-year program of study. The Faculty of Music, with the support of a private donor, in partnership with the Homewood Health Centre in Guelph, has sponsored a Music Therapist in Residence position. This position unites a clinical practice in Music Therapy at Homewood, with teaching and research. The Music Therapist in Residence creates a public/private partnership that has the potential to be a paradigm-shifting model for such positions going forward, advancing research and having a positive impact in the community. The Faculty of Music is now the permanent home to the National Youth Orchestra of Canada (NYOC). This partnership provides the support needed by the NYOC to continue its mission of training the next generation of professional classical musicians, and displaying the excellence of Canada's student musicians on national and international stages. Through an agreement with Six Nations Polytechnic Institute, Laurier’s Faculty of Social Work and Indigenous Studies program (Faculty of Liberal Arts) facilitate the engagement of Bachelor of Social Work students with Indigenous issues. A Memorandum of Understanding (MOU) has been signed with the Mississaugas of the New Credit First Nation that will support collaborative enterprise and professional development, and student access. The MOU contains a provision for the exploration of a two-way secondment staffing exchange program aimed at professional development and learning of employees and community members. Laurier is partnering with four universities (Queen’s, Laurentian, OCAD, Brock) and three colleges (Niagara, Humber, St. Lawrence) to hire a shared Chief Information Security Officer (CISO) that will be hosted and managed by the Ontario Research and Innovation Optical Network (ORION). This two-year pilot project is a Canadian first and will: build capacity in the sector as a whole to respond to increasingly prevalent cybersecurity threats. Laurier is constructing a new community athletics facility in Brantford jointly with the YMCA. A model of shared infrastructure, it will leverage public resources and downtown revitalization. Institutions with federates or affiliates may wish to outline the role that they play related to achieving SMA objectives and institutional differentiation. The Waterloo Lutheran Seminary (the “Seminary’”) is Laurier’s founding institution. In 1911, the Seminary was founded as the Evangelical Lutheran Seminary which subsequently became the Waterloo Lutheran University and included the Seminary. Wilfrid Laurier University was created by an Act of the Ontario Legislature in 1973, whereby the Seminary became a federated college of the University. As per The Wilfrid Laurier University Act, 1973 the Seminary shall not possess the power of conferring degrees except in theology, and its power of conferring degrees in theology is suspended and held in abeyance during the period the Seminary is federated with the University. The University and Seminary are committed to furthering a shared academic mission and collaborate operationally and academically to ensure the educational achievement of students. Both institutions benefit from collaboration on governance, academic programming, operations, and external relations. The relationship is governed through an operating agreement that is approved by the governing boards of both institutions. Historically, the Seminary has offered primarily graduate-level education, and now offers an undergraduate program in Christian Studies and Global Citizenship. The Seminary has longstanding strength in graduate programming and has evolved its programming focus from theology and divinity programs to multi-faith, ecumenical programming in counselling and theology. In 2016/17, the Seminary enrolled 35 PhD students, 49 full-time master's students, and 56 part-time masters and diploma students. Students in all programs are frequently working professionals who combine academic study with employment or placements in a wide array of faith-based and human service settings. The Seminary is highly engaged with the local community, as a place of worship, a centre for ethical discussion, and as a provider of counselling services. The Seminary’s Delton Glebe Counselling Centre is a not-for-profit, multi-faith counselling agency committed to strengthening emotional and spiritual well-being. The centre embraces diversity and cultural inclusivity, and offers individual, couples’, family, child and group counselling. Therapists are trained in traditional counselling approaches, as well as art therapy, play therapy and pet-assisted therapy. The SMA2 process has focused on implementing the first stages of the new funding model and demonstrating the ongoing commitment by all colleges and universities to student success. Future growth will only be funded through negotiated changes to an institution’s funded enrolment corridor. Through the SMA2 cycle, the ministry will continue to work closely with institutions to ensure all dimensions of the funding model are implemented. In a memo to colleges and universities dated March 7, 2017, the ministry committed to using the SMA2 (2017-20) process as a transitional phase to commence the collaborative and joint development of performance metrics and targets, tied to funding, for SMA3 (2020-23). The ministry reiterates this commitment and reaffirms that metrics and targets included in SMA2 are not tied to funding at this time and are a beginning point for further discussions with the sector prior to their application in SMA3. Colleges and universities will have the opportunity to reset and realign metrics prior to the application of metrics in SMA3. The ministry will also engage other stakeholders as part of discussions on a broad metrics strategy. The ministry commits to establishing a joint working group with each of the sectors and to begin detailed discussions in fall 2017 on metrics/targets and to seek input on the performance measurement methodology for SMA3. Colleges, universities and the ministry all benefit from processes that are transparent and non-duplicative. The ministry commits to work with colleges and universities to continue to streamline processes and seek opportunities to further reduce red tape (in part through increased access to other tools), including reducing or eliminating duplicated reporting requirements. Through SMA2 discussions, the ministry has heard concerns about the challenges of delivering breadth in programming for Francophone and Francophile students, including the cost and funding of such delivery. Starting in fall 2017, the ministry commits to consulting institutions who have a formal mandate for bilingual and/or French-language delivery to review the delivery of French-Language programming and consider these concerns. In 2016, an extension of the existing tuition policy framework was announced to support a major reform in OSAP. The ministry will engage with both the college and university sectors around the next tuition policy framework, including examining the issue of tuition anomalies in certain professional programs as a result of past changes to tuition policy, and, for colleges, examining tuition levels relative to competitive college tuition frameworks in Canada. In recent years and during the SMA process, there has been an increased interest in the creation of a new polytechnic designation in the Ontario postsecondary education system. Starting in fall 2017, the ministry commits to undertake a review that examines whether improved benefits for students and employers are sufficient to make such a change. The ministry commits to working collaboratively with institutions across the sectors on this review. The ministry commits to continue to work collaboratively with universities to assess the anticipated need for additional graduate spaces related to programs that are currently under development. Starting in fall 2017, the ministry commits to undertake a review of the university Northern Grant working collaboratively with universities to examine whether the criteria for access and allocations of the Northern Grant represent an equitable approach.